If you’re searching for a reliable deck builder that serves homeowners in Belleville, Illinois, or a nearby community, there’s no better company to turn to than Chesley Fence & Deck. 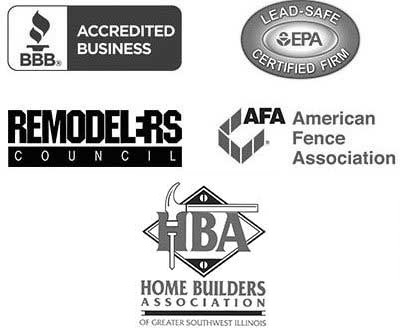 During our nearly fifty years of experience, we have earned the trust of countless homeowners throughout the Metro East region, as well as an A+ rating with the Better Business Bureau. As the premier deck builder serving Belleville, IL, Chesley Fence & Deck offers decking in many different materials and styles to suit virtually any homeowner’s budget and needs. For example, those who are looking for a cost-effective yet durable deck can choose treated lumber, which can be stained or painted to the color of their choosing. Or, for homeowners who love the beauty of premium wood, we offer top-quality Western Red Cedar, which is lower maintenance and has an attractive, natural appearance. No matter what kind of decking you choose to have installed at your home, you can trust that Chesley Fence & Deck is the best deck builder for the job. We work closely with our customers to ensure the material, as well as the style and configuration, of their decks meet their individual needs. And, all of our installations are performed by our own, highly trained employees – never subcontractors. 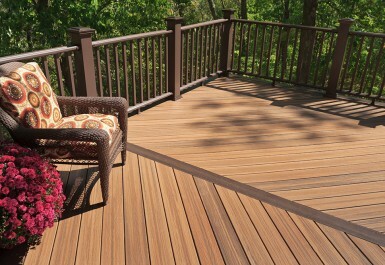 To learn more about what makes Chesley Fence & Deck the finest deck builder serving Belleville, IL, contact us today. They were not just hard workers, but friendly and helpful also.